The Bridge original record album autographed in blue marker on the cover by legendary musician Billy Joel. 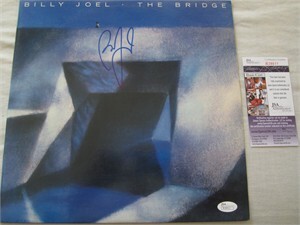 Authenticated by JSA with their matching numbered sticker on the album and certificate of authenticity card. Cover is in excellent condition for its age. ONLY ONE AVAILABLE FOR SALE.